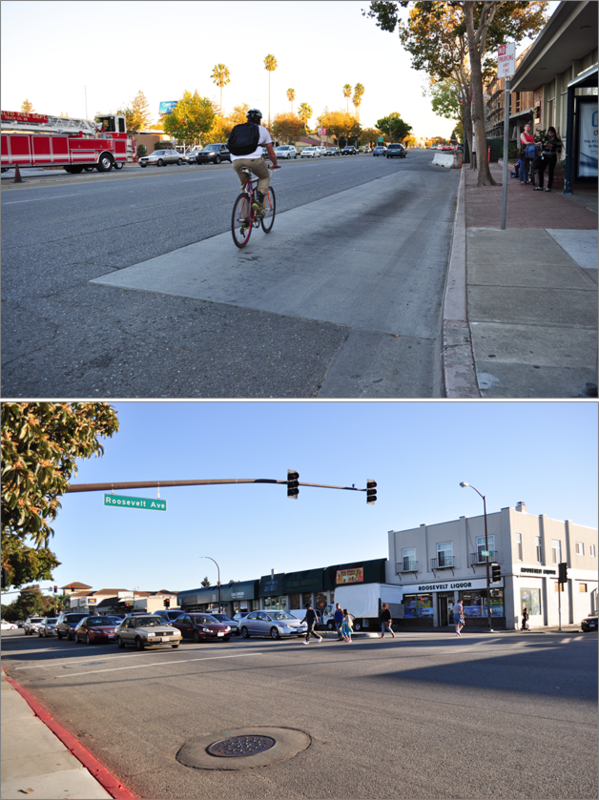 The Grand Boulevard Initiative: Creating Safe and Healthy Corridor Communities Project facilitated the design of multimodal streetscape improvements for two case study locations on El Camino Real in Redwood City and Palo Alto. This project was a critical first step toward implementing multimodal improvements, addressing safety issues in the El Camino Real Corridor, and realizing the Grand Boulevard Initiative Vision of people friendly places. Planning work began in the summer of 2017 and focused on the development of conceptual streetscape designs that could not only bring the Grand Boulevard Initiative Vision to reality but also provide Corridor guidance for future multimodal improvements. The project was completed on February 28, 2019. A Final Report was developed for each case study segment detailing the local vision, community outreach results, case study designs, 3D concepts, and next steps. In addition, the final deliverables include a lessons learned memo that includes best practices, implantation strategies and design library. These documents are linked below. For more information on the individual case study cities please visit the following links: Redwood City; Palo Alto. 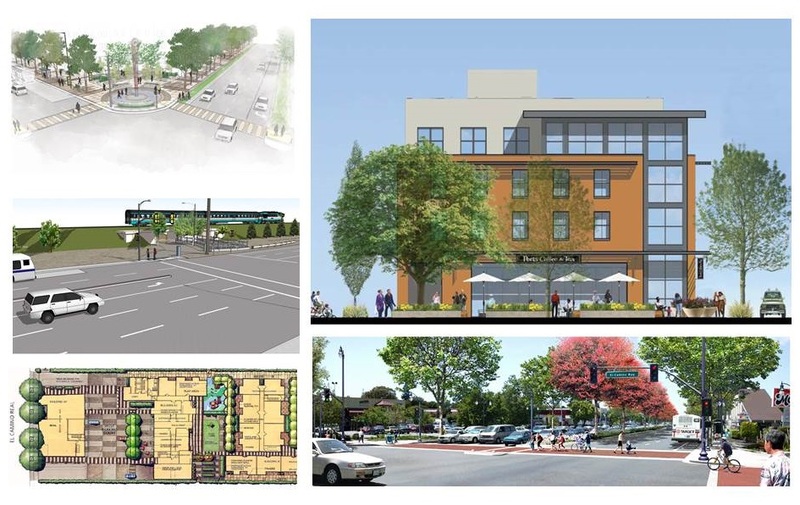 In lieu of the September 26th Grand Boulevard Initiative Task Force Meeting GBI staff will be hosting a tour of exemplary development projects along El Camino Real in San Mateo County. 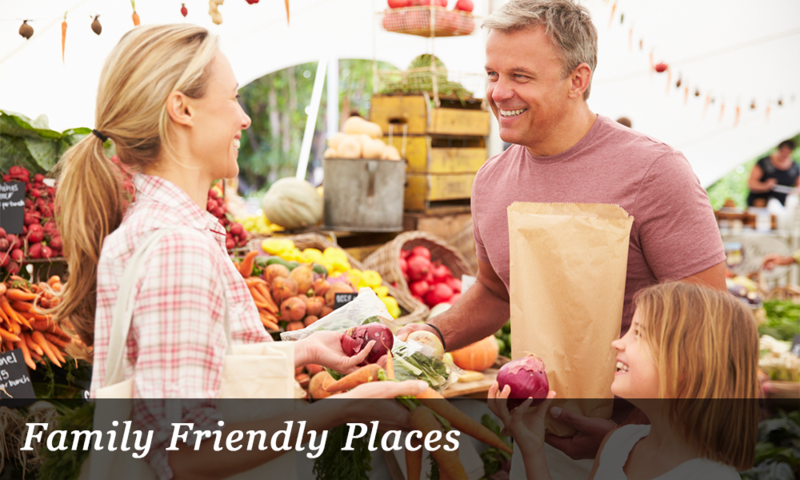 The event will include guided walking tours of downtown Redwood City and Bay Meadows in San Mateo. SamTrans will be providing transportation to and from the tour sites as well as light refreshments before the event. For more information or if you are interested in attending the event, please visit the event registration page here. Seating is limited! THANKS TO THOSE WHO JOINED US! 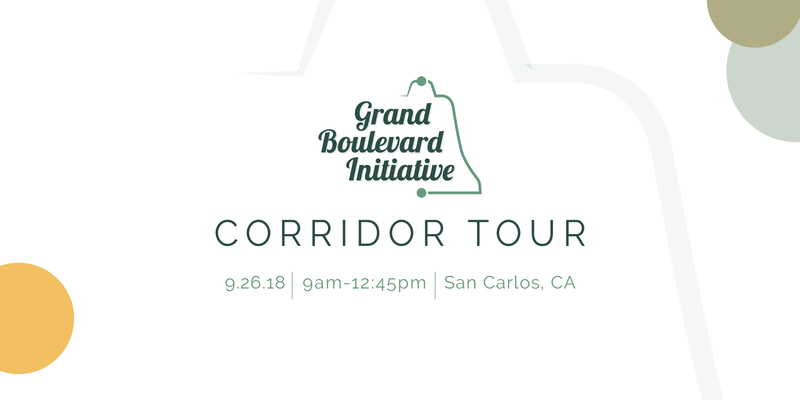 The Grand Boulevard Initiative Partner Sessions were a series of interactive meetings to engage local representatives and discuss emerging opportunities to make El Camino Real a more urban, pedestrian-friendly, transit-oriented corridor for residents to live, work, shop and play. Read more about the sessions and view the session documents here. Six Peninsula cities recently received top honors for development projects and plans in the El Camino Real corridor that exemplifies the Grand Boulevard Initiative (GBI) Guiding Principles. This year, two awards were granted – a 2016 Grand Boulevard Initiative Award and 10-Year Legacy Award, which commemorates a previously awarded project as an exemplary legacy project of the 10 years of the Grand Boulevard Initiative. A total of 15 projects were nominated for the 2016 Grand Boulevard Initiative Awards and 17 projects nominated for the 10-Year Legacy Awards, for a total of 32 projects nominated and scored. Members scored each of the nominated projects based upon how well each project met the 10 Grand Boulevard Guiding Principles. The Grand Boulevard Initiative received a state grant of nearly $350,000 to design improvements on El Camino Real in Redwood City and Palo Alto to improve safety and accessibility for all roadway users. The grant, awarded by Caltrans as part of its Sustainable Transportation Planning program, will improve portions of El Camino Real near the downtown areas of Redwood City and Palo Alto. Combined with a local funding contribution, the total improvement investments will be $394,300. The improvements will include traffic calming measures, upgrades to pedestrian facilities, considerations for bicycles, and enhanced streetscape designs to make the area more livable for residents. 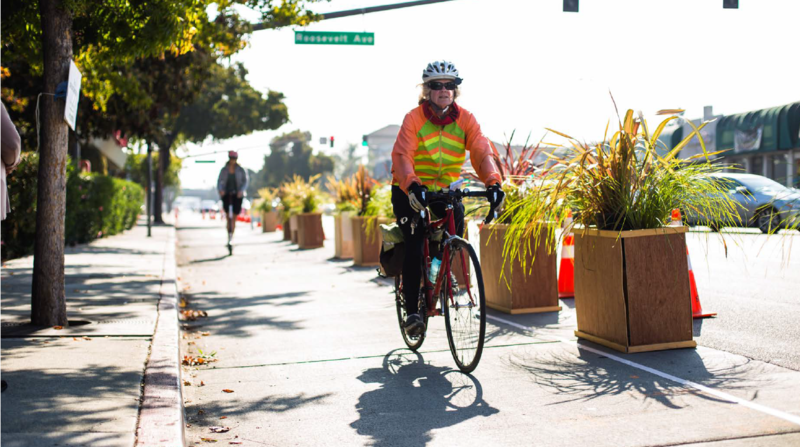 The areas in Redwood City and Palo Alto were chosen based on their high opportunity to improve bicycle and pedestrian safety and access on El Camino Real. With the improvements, the Grand Boulevard Initiative hopes to make the areas more socially and economically connected with their surrounding communities. Conceptual design for the improvement projects will begin in late 2016. 2016 Grand Boulevard Initiative Award Nominations - Due Friday, June 24th! Grand Boulevard Initiative invites its member agencies to submit nominations for the fourth round of Grand Boulevard Awards for projects and plans that embody the 10 Guiding Principles and Grand Boulevard Initiative Vision of creating people friendly places from Daly City to San Jose. Eligible projects must be located within a half-mile of El Camino Real/Mission St/The Alameda (State Route 82) in San Mateo or Santa Clara Counties between northern Daly City and San Jose at Diridon Station. There are three different Award categories. A project or plan will be evaluated based on its level of compliance with the 10 Guiding Principles. Read More below to learn how to submit a Nomination.